When creating a custom SObject that needs to be related to lots of different SObjects the use of a polymorphic Id field would be ideal.Then developers would not need to know what is in the user environment, or rely on admins setting up their app correctly. This would be extremely helpful. It's unfortunate that this has been being requested for 10 years and Salesforce is still unwilling to provide it. We need this to prevent having multiple lookup fields on cases that need to be related to multiple objects in our org. This would be great if it came with the ability to traverse the relationship in formula formual fields and via process builder. We up-vote this idea! Thank you. Would be of great help in our modelling. We definitely need this ability! Thanks! We need this functionality as many times there are scenarios where we have to lookup to different objects for sourcing and tracking. Adding a custom VF page is clunky and anyone that has seen Task will question it. Having to add additional fields takes up too much space on the page layouts. 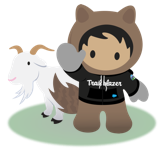 This is a much needed change to support Reporting in Salesforce. This is one of important feature that should be available for custom objects as well. It would be great if this funtionality is implemented.